Here is something quite nicely magical for the collective Friday Feeling, provided of course that everybody is happy about today being Friday. In some places it might already be not Friday – I believe that's called Saturday – and if so, sorry to get your hopes up. Perhaps you could or might re-listen to this song on a future Friday somewhen. But what is this exactly? It comes from the Tokyo-dwelling emotional dance wonder himself, Yuki Abe – aka Boys Get Hurt. I've been supporting his cause for a while now (even getting a tweet taken down because apparently this song [click!] was a copyright infringement) and it seems with each new track things get a bit more refined, richer – you could even say more elegant. Ha ha. 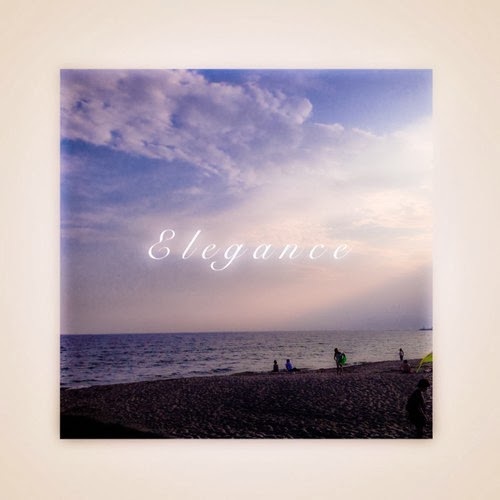 Yes and it's no different with this track, 'Elegance'. Taking us with each of his songs into the very heart of the endless summer (well if it's endless technically there is no "very heart", no middle to speak of, but I'm sure you can understand what I mean), he conjures dancefloor romance, naïveté housed within a clean club setting, insta-crushes based on fleeting glimpses of beauty and all the carefree youthful happiness that goes with all that. Pop on over to his latest indie-discothèque soundtrack and have yourself a little dance. Inviting us in via a chiming curtain, sturdy house piano chords and an evocative if not slightly solemn brass melody, we plunge headfirst into a disco beat with occasional but satisfying variety on the hi-hat, where the chords are supported by synth variations and a plunking bulge of bass synth bounces along with a funky jaunt. The vocal sample – or are they original, I'm not sure – lends its now-or-never sense of nocturnal temporary romance with lines like "spend all night with me", beautifully retro-ised with welcome interruptions from two note string melodies and the ever-tropical glockenspiel on loop, the synth widening towards the end, helped along its way by brief bursts of white noise fizz. This feels different to many other Boys Get Hurt tracks simply because of the purity of the brass melody that comes in, there's something sensible about it, a maturity, a knowing resignation to certain facts or factors – and it's this gradual change in the music of Yuki Abe that makes me want to keep listening to everything he puts out. No matter what, though, you're always safe in the knowledge that he's gonna give you some real danceable and instantly likeable disco vibes every single time.